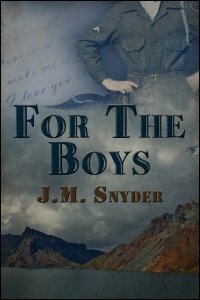 This week I re-released another gay historical romance entitled For the Boys. Not to be opportunistic, but this story was inspired by the tragic events of September 11, 2001. I know you’re thinking, how? It’s set during the Korean War! But honestly, the story idea came to me while I was at the United We Stand concert in Washington DC in October of 2001. The concert was a multi-superstar line-up organized by the Red Cross whose proceeds benefited the victims of 9/11. ‘N Sync was there, as was the Backstreet Boys, Pink, Aerosmith, Bette Midler, James Brown, America (who probably were only invited because of their name but I love love LOVE their music), Michael Jackson, Destiny’s Child … a veritable who’s who in pop music. Everyone got maybe two songs and then there was a lot of waiting around while the set was changed, and every now and then John Stamos came out to pre-record an emcee bit for whenever the show made it onto TV. Anyway, Carole King was there, too, and before she performed, she told the audience about how much she’d loved working in the USO. Falling in love was the last thing Army pilot Carl Prosser expected to do while stationed in Korea. But he meets a young man named Tommy who’s touring with the USO and does just that. Their relationship deepens through an exchange of letters. When the USO troupe returns to the front, Prosser devises an elaborate plan to see his lover one last time before the entertainers return to the states. At the last minute, though, there’s a change of plans when the enemy hits the USO troupe and Prosser fears Tommy is gone forever.